One wouldn’t generally expect Pakistan to produce role models for women – not since former Prime Minister Benazir Bhutto was assassinated, and not the kind for Birkin bags that a certain foreign minister is famous for. 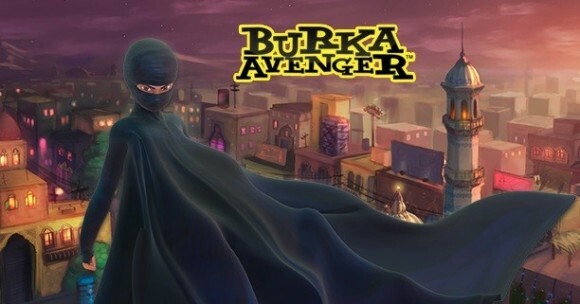 So Geo TV’s animated kids’ show Burka Avenger has been nothing short of a revelation. It is set in a picturesque green valley, where the arrival of a villain with a long beard who shuts down the local girls’ school casts a pall of gloom. Until, that is, the appearance of a figure in a flowing black burka, who takes on the religious zealots and corrupt politicians alike. Turns out – spoiler alert – it’s a teacher, who wields the chalk by day and displays her considerable martial-arts skills by night to protect the girls’ right to education, clad in a black burka. There are so many facts about this one could focus on, especially when the young Afghan schoolgirl who was shot by the Taliban for daring to go to school is being touted for a Nobel Peace Prize. Amazingly though, some of the conversation about the Burka Avenger has centred – not on the brave, new stance of Geo TV or the much-needed focus on education or the hopes for change in depicting women on TV and as superheroes – but on her burka, and the fact that it’s a symbol of oppression. Really. That’s a debate worth having, yes. But picking on this series for just this reason is a bit disingenuous, surely. And hey, maybe just maybe, the show’s creators meant to show the burka as also being a symbol of power. Why must superheroes everywhere conform to the Western ideal of one, including their dress code? Is it more inconceivable to have a heroine clad in a saree, a kimono, an ao dai – or, indeed, a burka – than it is to imagine one with cat’s whiskers? This entry was posted in Life, Women and tagged Afghanistan, Clothing, education, Pakistan, Superheroes, Television, women. Bookmark the permalink.